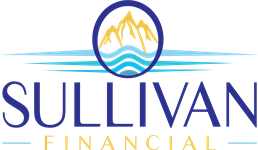 About | Sullivan Financial Services, Inc.
At Sullivan Financial Services, we understand that the path to reaching your life’s goals can be complicated. We strive to simplify your financial picture and instill confidence that we will always put your best interests first and provide sensible strategies to help you grow and preserve your wealth. We specialize in creating strategies tailored to your unique needs, and we use innovative technology to help you organize and manage all of your finances. Our founder, Thomas Sullivan, is a CERTIFIED FINANCIAL PLANNER™ Practitioner, one of the most prestigious designations offered in the financial services industry. As a CFP®, Thomas has accumulated extensive knowledge in all aspects of wealth management and has pledged to practice with ethics and integrity. This accomplishment is a testament to Thomas’ commitment to serving you with the highest level of service and strategic support. Sullivan Financial Services is backed by the resources of LPL Financial, the nation’s largest independent broker/dealer. * The firm serves as an enabling partner, supporting our goal of protecting and growing your wealth, while reducing the complexity of running our practice so we can focus on helping you pursue your financial goals. Because LPL Financial has no proprietary products to sell and no obligations to investment product providers, we have the freedom to offer objective financial and investment guidance, and place your best interests first. Learn more about LPL Financial. * As reported by Financial Planning magazine, June 1996–2016, based on total revenue. Contact Us today to learn how we can help simplify your financial life.